PAT PILCHER goes shooting – shooting photos that is, as he tries out Fujifilm’s latest mirrorless camera. There’s been a lot written about mirrorless cameras. As their name indicates, the cameras differ from single lens reflex cameras in that they don’t have a mirror to reflect light into the viewfinder. With mirrorless cameras, the digital image sensor is always exposed. Most use a rear LCD screen plus an electronic viewfinder. Both digital SLRs and mirrorless cameras have their pros and cons. DSLRs often have a bigger battery and are more battery efficient, while mirrorless cameras have faster burst rates, are lighter and typically offer amazing video shooting capabilities. I got to spend some time with Fujifilm’s X-T3, their latest mirrorless do-it-all camera. It’s the successor to the well-received X-T2, which gained plaudits for its excellent still image capture capabilities. Looks-wise the X-T3 hasn’t changed a lot from the XT2. 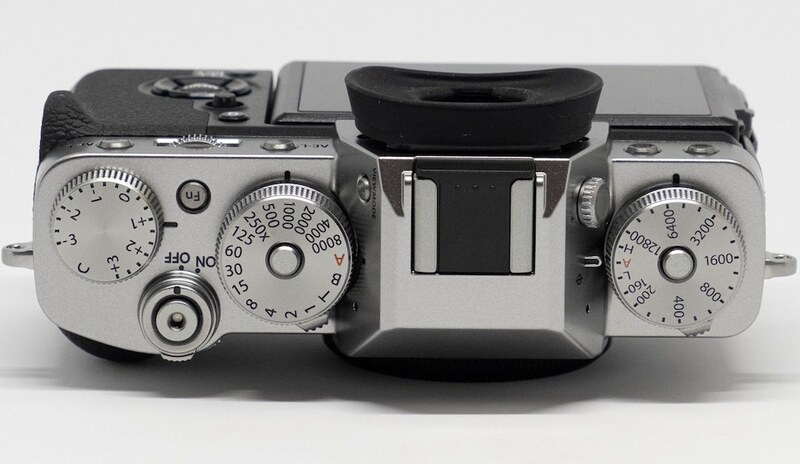 Like the XT2, its utility is enhanced thanks to a generous dollop of dials and buttons which, aside from giving hands-on control over shooting, also lend the X-T3 a cool retro look. Eye pleasing design aside, the camera body is also superbly balanced and feels great in the hand. Under the hood is where the real differences between the two models are, with the new offering featuring significant upgrades to its image sensor and image processing hardware. These take the X-T2’s solid photo shooting abilities and add impressive video capabilities into the mix. The X-T3 uses an APS-C sensor which, while smaller than the full-frame sensors of Nikon’s Z Series and Canon’s EOS R range, allows the X-T3 to be both smaller and lighter. The sensor also contributes to a very reasonable sticker price. The X-T3 costs a wallet-pleasing $3,500 for the body only (the 24-70mm lens is an additional $1,800) which puts it in reach of anyone wanting to get serious about photography/videography without having to sell a kidney. The camera might be smaller than a DSLR, but compared to other mirrorless shooters, it is still big. It’s also a tad heavier than the XT2, weighing in at 539g. Size and weight aside, it is superbly built and feels solid enough to withstand nuclear war. As any professional photographer will attest, lugging cameras all day can quickly get tiring. The folks at Fujifilm took this to heart and made sure that this latest model is beautifully balanced – even with a lens attached. For those wanting DSLR-style shooting but without the bulk or weight, it’s an excellent option. While a lot of digital cameras are ditching physical controls for touch screen menus, the X-T3 makes good use of analogue controls which make for a tactile shooting experience. Most of the buttons and dials can be re-configured, giving an unprecedented amount of control over shooting. The device comes with the same electronic viewfinder as built into the pricier X-H1. It might be marginally smaller than that used in the X-T2, but its higher resolution makes it a pleasure to use. 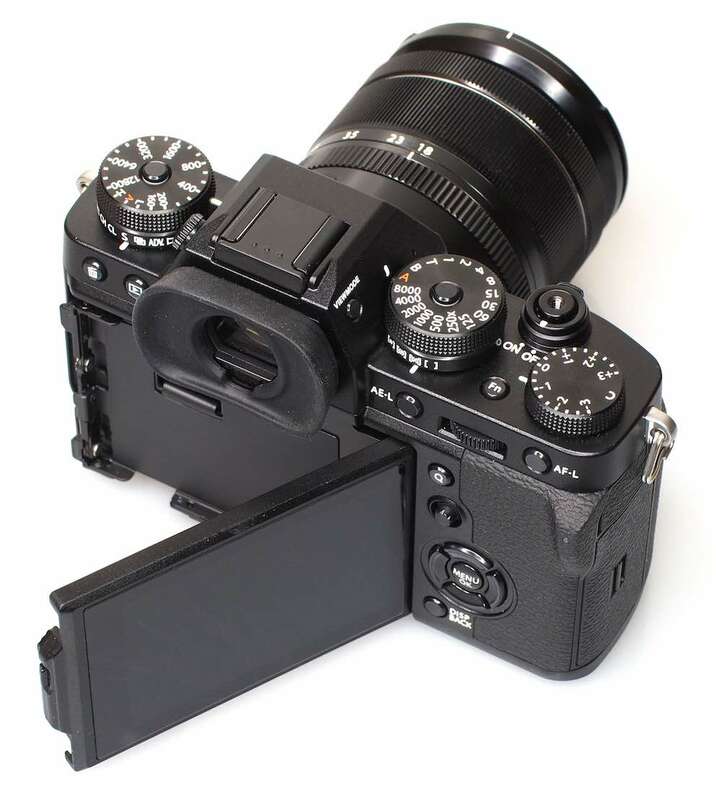 The rear 3.2” LCD screen on the X-T3 is touch-sensitive. You can tap to focus on a specific photographic object/subject and swipe through displayed photos. As handy as this might be, the display still uses the same three-axis tilting action as with the X-T2. A side-folding mechanism might have proved useful when shooting in portrait, but Fujifilm’s competitors are already offering mirrorless cameras with fully articulating screens that come into their own for selfies and crowd shots. 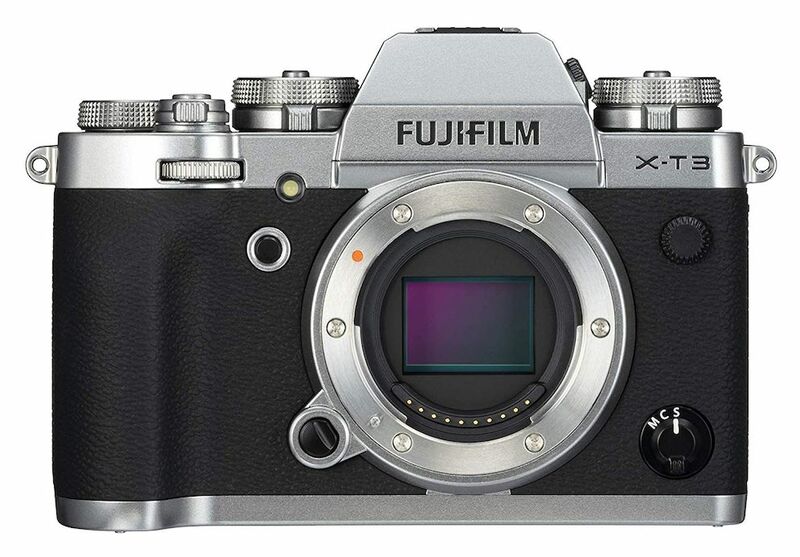 Fujifilm is offering this on their more affordable X-T100. Here’s hoping it makes it over to the X-T4. Given the X-T3’s video shooting chops, the addition of a built-in microphone and headphone sockets is a definite bonus. There’s also a USB-C port. It lets you charge the battery or keep it topped while on the go with a PowerBank. For professionals wanting an entire day of shooting, it’ll be a popular addition. The real action with this camera happens under its hood. Powering it is a new ‘backside illuminated’ 26.1-megapixel X-Trans CMOS 4 sensor. That’s paired with X Processor 4 image pricessing silicon. This combo provides upgrades to autofocus, burst shooting and video capture. The new sensor means that autofocus uses ‘phase detection pixels’ to offer up 425 autofocus points. In use, this means the camera can track moving subjects and keep them in focus in a hyper-reliable fashion. The image processing hardware offers up other improvements too – it proved very capable when it came to both face and eye detection. I was also impressed with the autofocus’s ability to function in low light conditions. Best of all, the X-T3 seemed blisteringly fast when it came to locking onto and focusing subjects. It also comes with solid burst mode shooting capabilities. It’ll shoot off 11fps via the mechanical shutter (with autofocus), making it fine for wildlife or sports shooting. Things are even better when the electronic shutter gets fired-up – it can capture images at 30fps, but this drops once you move from single point autofocus. Being mirrorless, I also found that with continuous shooting there was no blackout in the viewfinder. This meant I was able to see what I was shooting at all times instead of guessing and getting it wrong. In a nutshell, the X-T3 did an excellent job of shooting stills of people, animals and other fast moving objects thanks to its excellent autofocus and rapid-fire continuous shooting capabilities. Perhaps the biggest change from the X-T2 is the X-T3’s excellent video capabilities. It boasts a near professional spec, being able to shoot 4K at 60fps with 10-bit colour depth. 1080p a slo-mo is also available at 120fps. It also supports H.265 so it can record that 60fps footage at 200Mbps. Shooting at 30fps, see’s recording go up to a high-quality 400Mbps bit-rate. Rounding things out are Fujifilm’s many different ‘film simulation’ modes which are also available for video. It’ll also store separate settings (such as exposure and sharpening) for photographs and video recording and it allows you to send photos via a smartphone, thanks to in-built Wi-Fi. About the only thing missing on the video front is in-built image stabilisation. The Fujifilm bumpf says the XT3 can deliver around 390 shots from a single charge, which is, in theory, a sizeable improvement over the 340 shots the X-T2 can deliver. 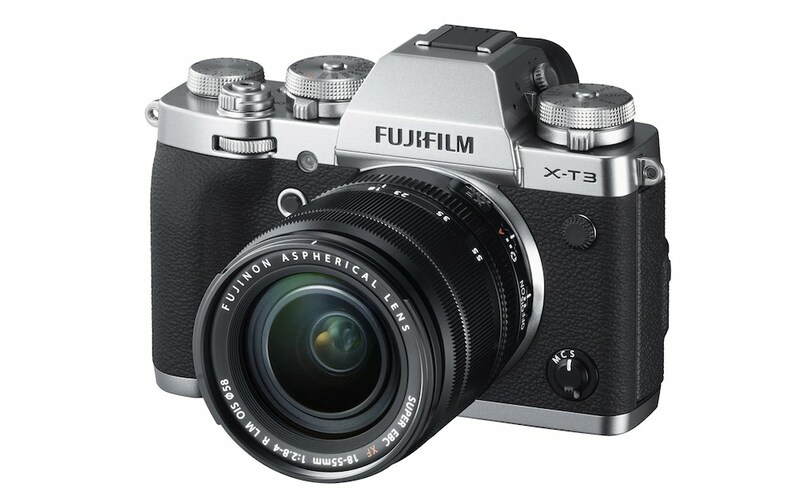 So is the X-T3 a winner? 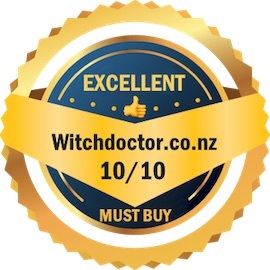 It delivers excellent stills – JPEG shots are well-balanced and richly detailed thanks to both its excellent autofocus capabilities and a new image sensor. Add in face detection, plus film simulation modes and the camera becomes a fun, creative and versatile tool in a multitude of different photography scenarios. Specs-wise it should be an impressive video camera, and in use, video footage looks stunning, being both crisp and finely detailed. Panning shots in busy environments work brilliantly thanks to its continuous autofocus which works brilliantly. Considering that all this comes at such a reasonable sticker price, the compact size, not to mention a wide variety of lens available make the X-T3 pretty hard to fault.